Dr. Amanda King is Saint Lucia’s only Rheumatologist and has give twenty (20) years of dedicated and excellent service to Saint Lucians with Rheumatic diseases. A 1983 Saint Lucia Island Scholar, Dr. King pursued her career in Medicine, initially at the University of the West Indies and later at the Glasgow Royal Infirmary, the Edinburgh Eastern General Hospital and the Law Hospital in Carluke, Scotland. In 1997 she founded the St. Lucia Arthritis and Lupus Association, whose mission is to support, educate and motivate persons with Arthritis, Lupus and related diseases. She is the co-founder of the Barbados Arthritis Support Group; the local co-ordinator of the Arthritis Self Management Programme; the founding member of the “Viv Byen” Programme; the founding member and current President of the Caribbean Association of Rheumatology. She also helped launch the Grenada Lupus Foundation. Currently she is the practicing Consultant Rheumatologist at Tapion Hospital. 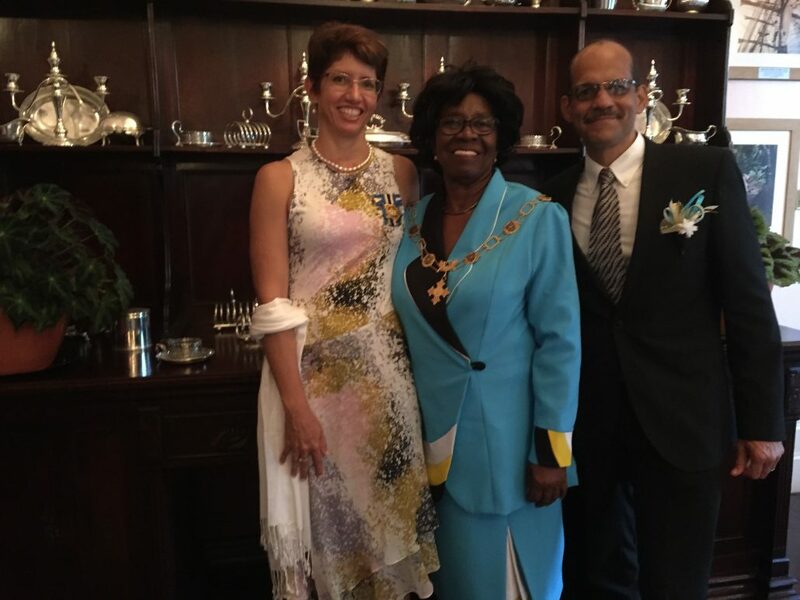 For the generous contribution of her time and expertise in the field of Medicine generally, and in the field of Rheumatology in particular, Dr. King has been awarded the Saint Lucia Medalof Merit – Gold. Tapion, Castries, St Lucia, W.I.